Ac Milan’s winter transfer started early with the arrival of Antonio Cassano, however the Rossoneri’s market is not about arrival as they have also released some of their players including their Brazilian superstar, Ronaldiho, who finally confirmed his destination. After days of negotiation with several local Brazilian clubs, Flamengo have finally been picked by the former Barcelona player as his next place to continue his Football journey. The report has already been confirmed by both Milan and Flamengo and according to the Brazilian’s club website, Ronaldinho has already signed a contract to play at the club for four years starting from this winter. This departure is something that have been predicted since quite a while, as in the summer the player keep on stalling the negotiation talk to extend his contract with the Rossoneri, but the final decision seems evident as in the last few months he hasn’t managed to keep his starting posisition in the club. Ronaldinho himself looked very excited with this move as everything seemed perfect for him in every aspect not to mention the fact that Flamengo reportedly are the team that are seriously offering the cash that Milan find reasonable with. However, this decision has reportedly dissapointed Gremio’s fans, another club that were also heavily linked with the playmaker this winter. Being Dinho’s first professional club, the Porto Alegre based side believed they would had the upper hand on sealing the deal, however that’s not seem to be the case. In other news, aside from Ronaldinho, Milan have also released another player from their current squad and that player is United States’ international defender, Oguchi Onyewu, who hasn’t really featured much since being brought in a free transfer from Standard Liege last season. The tall defender has officially join Dutch side, FC Twente, for the remaining of the season which could definitely be a good thing for the player himself as he could get the playing time he need. 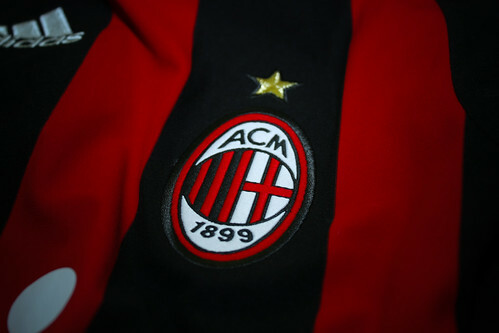 This departure have also speculated on some more arrival for Milan as the current Serie A leader seems eager to make their title bid stronger by adding plenty reinforcement this season as they are aiming to finish the season in a high note. Some new players that recently have been highly linked with the Rossoneri are the likes of, Andrea Lazzari, Phillipe Mexes and recently Federico Balzaretti. Those names are being sirculated lately considering the fact that they are playing in positions that still being spotted as the fashion capital side’s weaknesses this season.